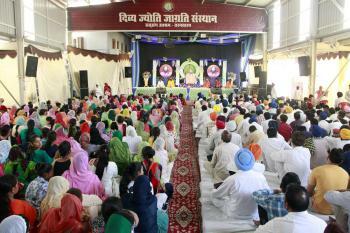 Divya Jyoti Jagrati Sansthan (DJJS), with its mission of world peace, reaches another land to connect the people with Divine Knowledge. 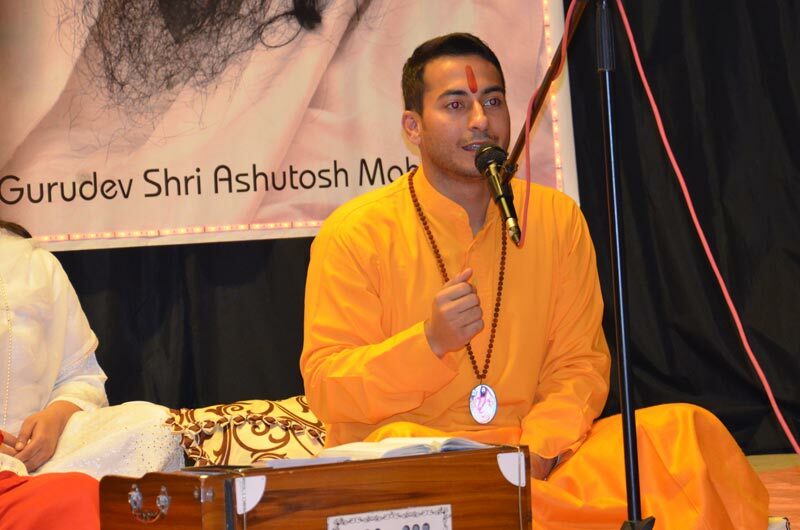 A spiritual session was held in Brussels, Belgium on 1st November, 2014. 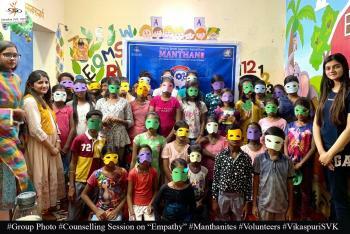 The program was an endeavor by DJJS to reach out to people residing in different parts of the world to spread the message of Self – Realization (Knowing Thyself) through Brahm Gyan so that mankind’s dream of world peace transpires into a reality. 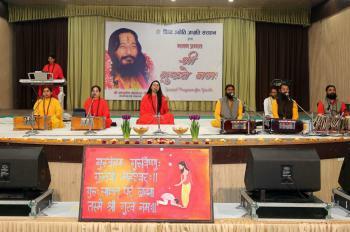 The program was aptly themed as ‘Kab Sumiroge Ram’ consisting of a spiritual discourse (satsang) to enlighten the gathering about the need for self-realization which is the ultimate goal of human life and the path leading to it. 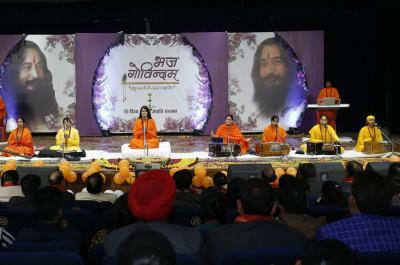 Gurudev Shri Ashutosh Maharaj Ji’s grace flowed ceaselessly at the devotional concert. 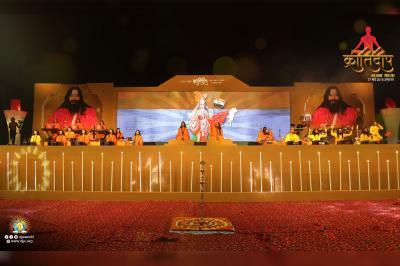 Swami Satmitranand Ji, Sadhvi Bhakti Priya Ji, Swami Kabir Ji took up the root question bothering mankind and by the medium of this concert provided the solution using the scriptures and profound teachings of Gurudev Shri Ashutosh Maharaj Ji. 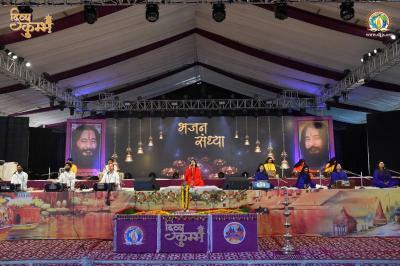 Mesmerizing devotional songs (bhajans) along with the discourse infused the masses with enthusiasm and spiritual fervor. 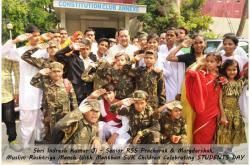 Naushad Ali Kawa (Indian Idiol runner up), Pandit Avinash Sharma (Holland Shiv Mandir Chairman), Jaidev Rana (Brussels Hindu Committee Reg), Kanta Sekhri (Indian Cultural Centre Reg, Brussels), Marc (ISKCON Temple), Madan Gurung (VZW Club Antwerpen), Puran Chand (President Assa Mai Mandir, Kortrijk), Ravinder & Rajni ji (Nepali association Belgium), and famous Singer Naresh Sharma (UK) presented melodious bhajans to magnify the sanctity of the event. People were told how the essence of all religions is to ‘Know Thyself’ and epicenter of knowing oneself is to know the only truth which is God. Unlike animals, insects and other living beings, human beings have been granted the unique privilege of a human form which is the only kind that is capable of walking the path to self-realization and higher consciousness. So we must respect this privilege granted to us and aspire for our highest goal. This can be possible only with the guidance and initiation of a Perfect Master who bestows upon the seekers the Divine Knowledge of God (Brahm Gyan) so that they may be able to reach their goal. 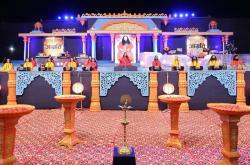 This message embodied in the scriptures of different religions was related through various mythical stories and real experiences of different saints and sages who have graced the earth across different eras. 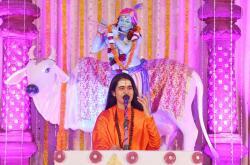 "Kabh Sumiroge Ram" reverberated positivity throughout Belgium. 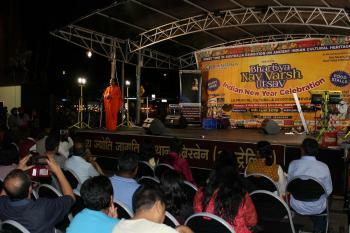 The concert was a thumping success with large number of attendees. 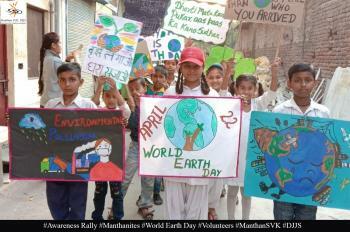 People were enthralled by this experience, as they found a greater perspective and renewed energy, and zeal to live life with a purpose.